From the first day of our inception, we have been able to manufacture and supply the optimum quality of Propane Gas Storage Tank. 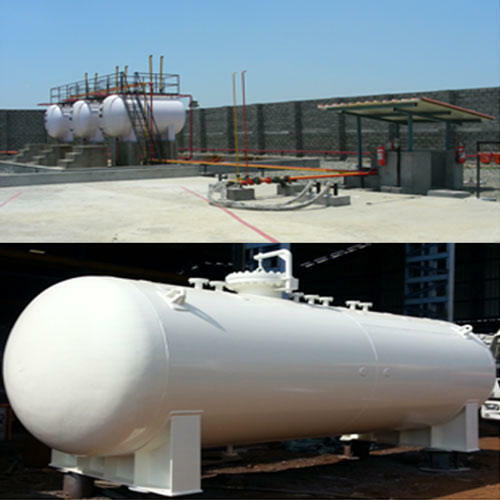 Manufactured from superior quality materials and in compliance with the industry laid norms, the offered storage tank is used for the purpose of storing propane in various chemical industries. Moreover, the offered propane storage tank is available with us in various specifications. Appreciated for the manufacturing and supplying a wide assortment of Storage Tank and Pressure Vessels, we, Spark engineers, started our operations in the year of 1984. Under our commendable array of products we are offering LPG Storage Tank-LPG Bottling Plant, Propane Storage Tank and Ammonia Storage Tank. Offered products are manufactured and designed by utilizing optimum grade basic material in full accordance with the set industry norms and standards. To satisfy our clients in most trusted manner, we are offering these products as per the details provided our clients. These products are highly demanded and admired by our clients for their rugged construction, flawless finishing and accurate dimensions.